Individual components allow you to tailor fit a carb kit that's right for you. This EMPI dual HPMX or IDF manifold kit for 1700-2000cc Type 2/4 and 914 is the same high quality components used in EMPI's complete carb kits. 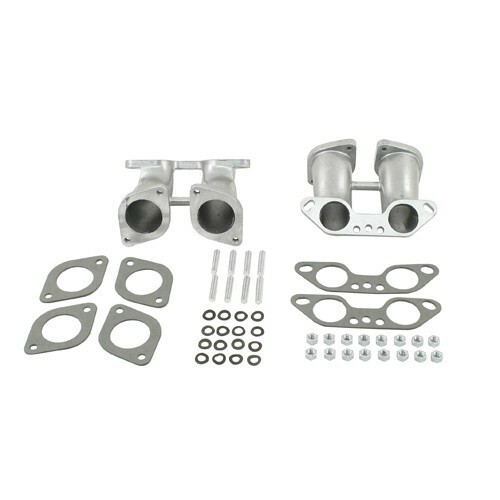 High quality aluminum manifold with all necessary hardware and gaskets included. Ball burnished finish.